pt_parser_api(i) 1 tcllib "Parser Tools"
This document describes the API shared by the grammar interpreter provided by the package pt::peg::interp and the parsers generated by the pt application for the result formats critcl, snit, and oo regarding access to the actual parsing functionality. 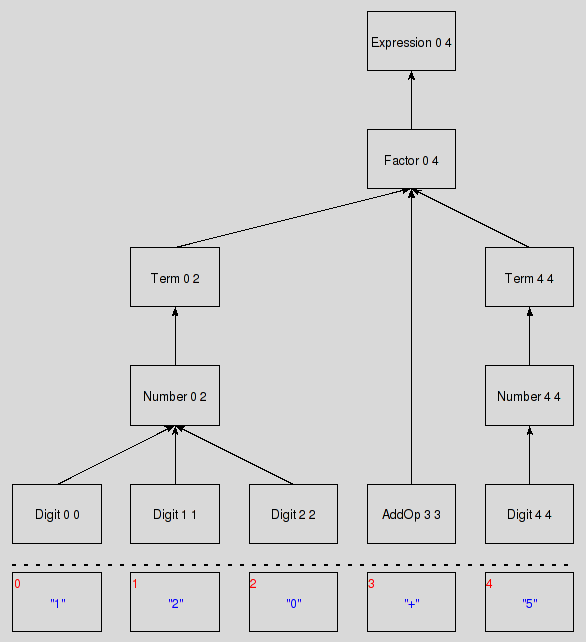 Its intended audience are people who wish to create a parser for some language of theirs and then use that parser within a Tcl-based package or application. It resides in the User Layer of Parser Tools. 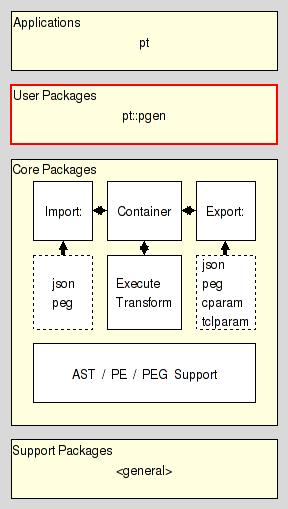 package require the-parser-package ;# Generated by result-formats 'critcl', 'snit' or 'oo' of 'pt'. package require the-grammar-package ;# Generated by result-format 'container' of 'pt'.